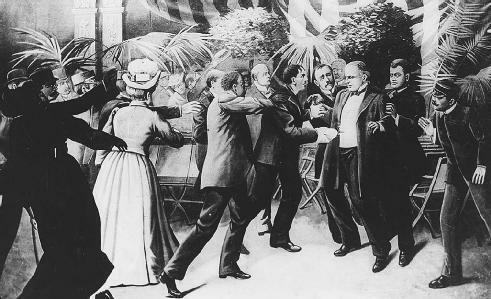 On this date in 1901, US President William McKinley was shot at the Pan-American Exposition in Buffalo, NY by anarchist Leon Czolgosz. President McKinley died eight days later from his wounds. Czolgosz was subdued at the scene by the crowd and taken into custody. He was tried in NY State court and convicted of murder. He was executed in the electric chair at Auburn Prison on October 29, 1901. This video is of a reenactment of the execution of Leon Czolgosz. The original film was shot by Thomas Edison in 1901.